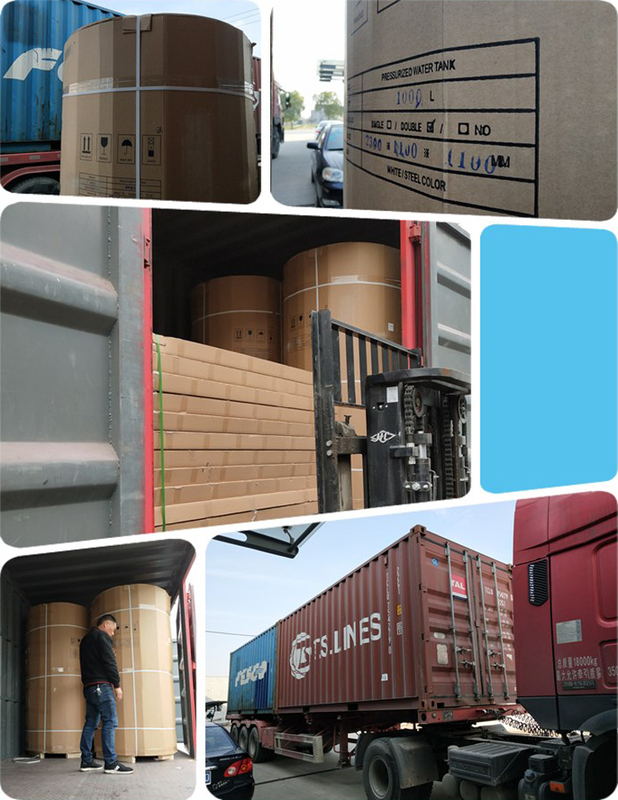 High Quality Solar Water Tank can work with solar, heat pump (HYBRID SOLAR HEAT PUMP SYSTEM), boiler, floor heating, radiator heating, fan coil units, and sanitary hot water. 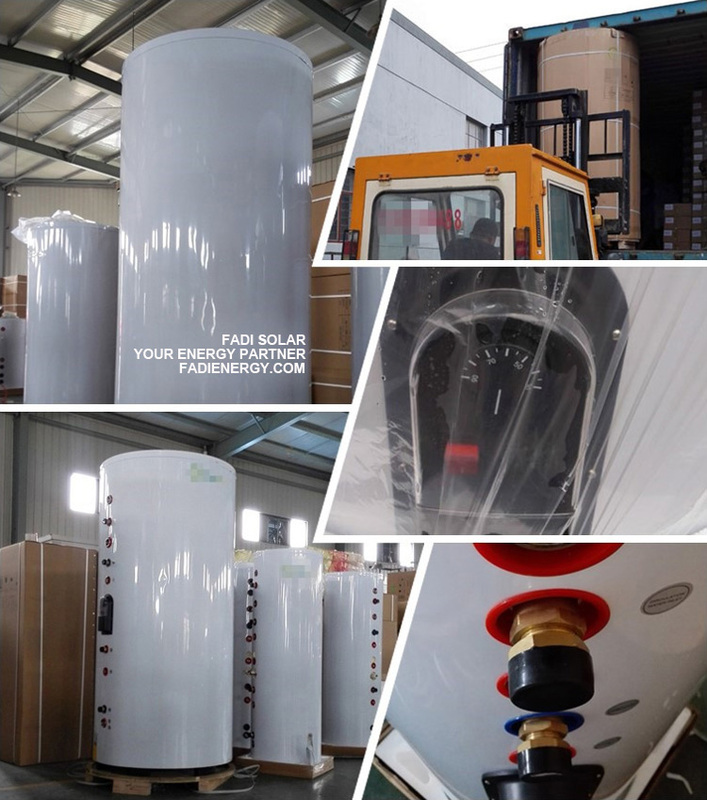 FADI solar water heater tank / multi-function water tank is the home energy station, collecting and storing the heat energy from solar, boiler, heat pump, electric heater etc, and distributing the energy to floor heating, radiators, fan coils, as well as the sanitary hot water for shower, kitchen etc. 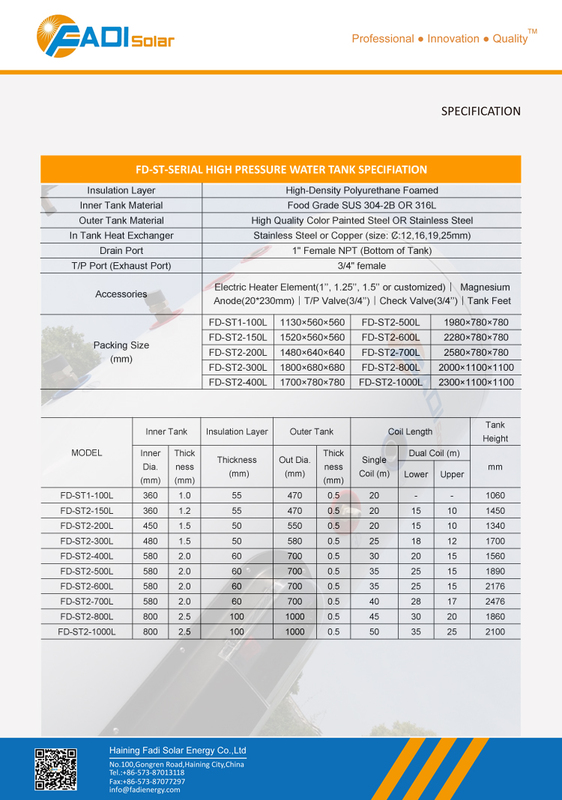 Depending on the system design the pressurized tank may incorporate one or several heat exchangers for indirect solar water heating or other heating applications. 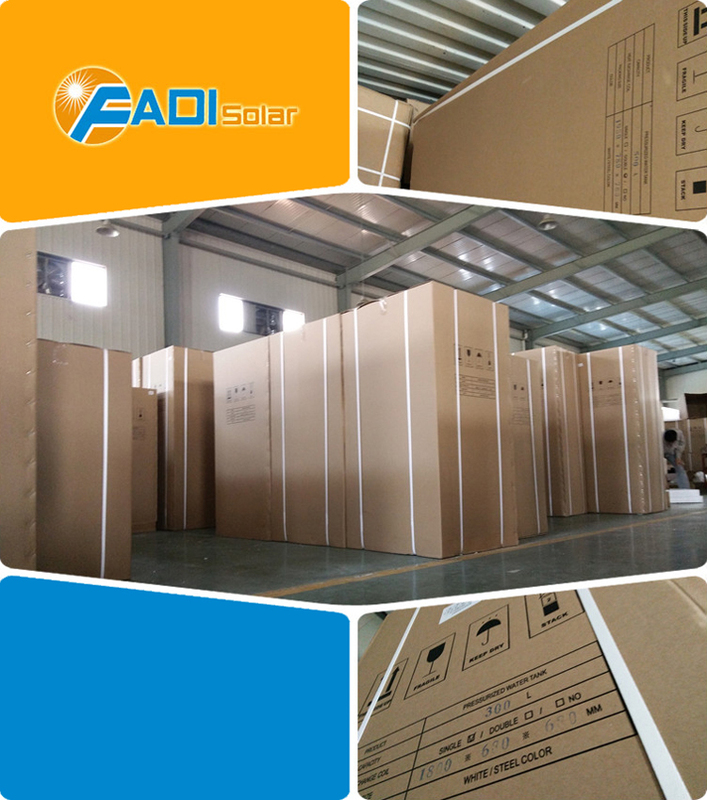 In addition the solar water heaer tank may incorporate both solar and auxiliary heating (gas or electric or heat pump) or a dedicated solar tank may supply pre-heated water to a second tank that is heated by traditional energy sources. 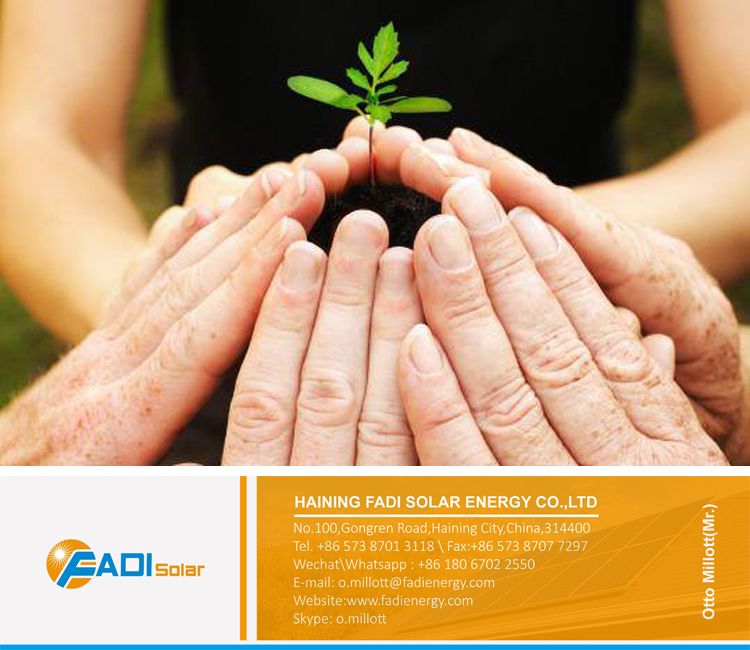 Can work together with solar panel. 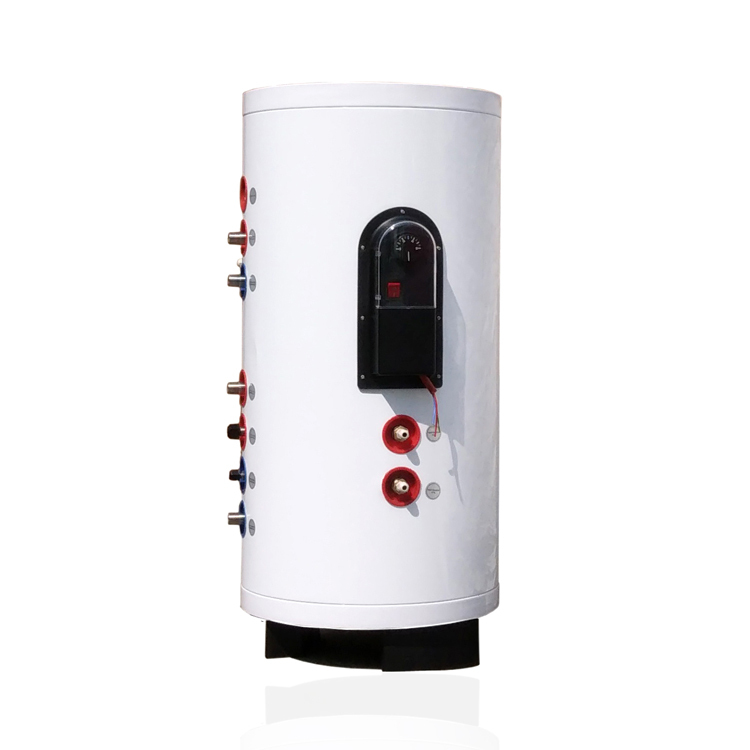 Can work with heat pump. With built-in electric boiler, wall-mounted boiler as backup. Always use cheapest heat source in prior and make sure the sufficient hot water,meanwhile save your every cent.